A friend of mine asked me to help her email a YouTube video to her friend. If you’re curious how to do it, here are the two ways I shared with her, both broken down into simple steps. 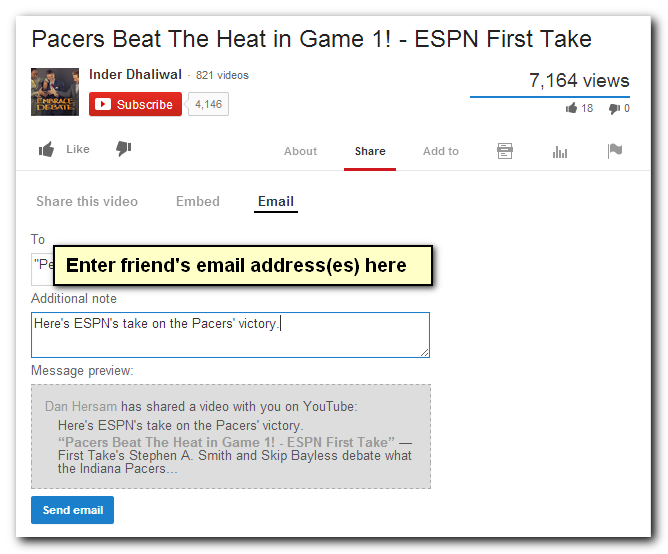 The way to start with both of these methods is to open your web browser to the YouTube video you want to share. 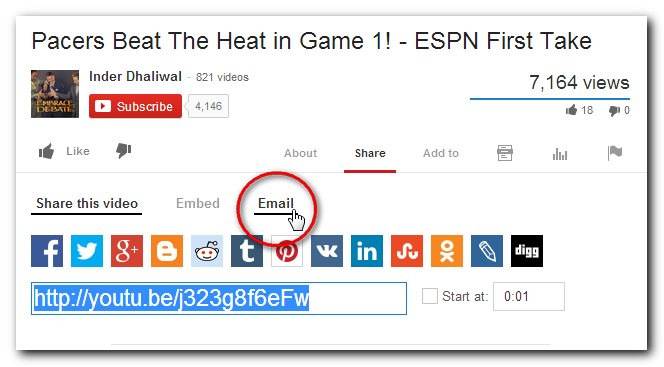 The first way to share a YouTube video is to copy all of the text in the address bar (it starts with http://). This text is also known as the URL, or web address. You then paste the text into an email and send it to your friend(s). Click once anywhere in the address bar to turn the text blue (when it’s blue it means the text is selected). Hold down the Ctrl button and press the letter c (commonly shortened to Ctrl+C). This copies the web address to a temporary holding place called the clipboard. Switch to your email window and paste the web address into an email by holding down Ctrl and hitting the letter v (Ctrl+V). This pastes the web address from the clipboard. This second option uses the Share link on YouTube. Click on Share, located below the video on the right, next to About and Add to. Some new text appeared when you clicked on Share. In that new text, click on Email. Enter your friend’s email address (or your own if you’re testing it out). Type a short note, then click the blue Send email button.